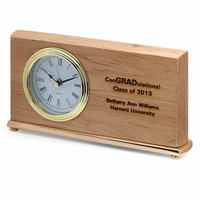 FEATURES/SPECS This simple but elegant desk clock features a laser engraved legal scales symbol laser engraved right on it. 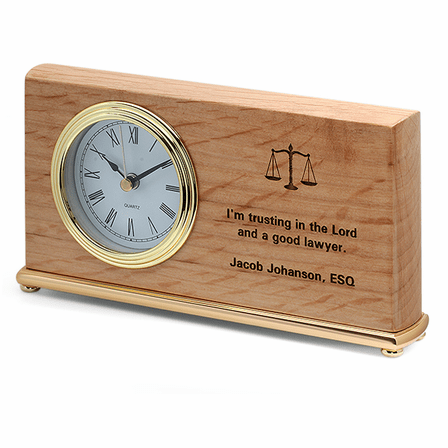 Add your own custom personalization below the Scales of Justice emblem free of charge. 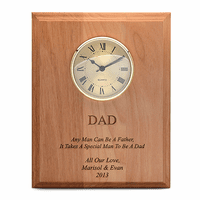 Engrave the recipient's name and title, their place of work or even a funny expression like we have in our sample picture. 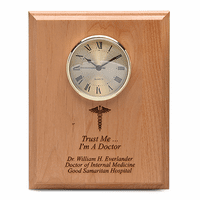 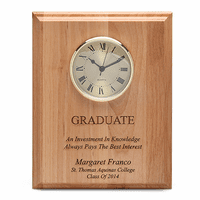 This unique personalized gift clock for lawyers comes packaged in a gift box and ships out in one business day.